Nintendo shared some news at VGX Awards tonight with a rumor that came out this week turning out to be true. 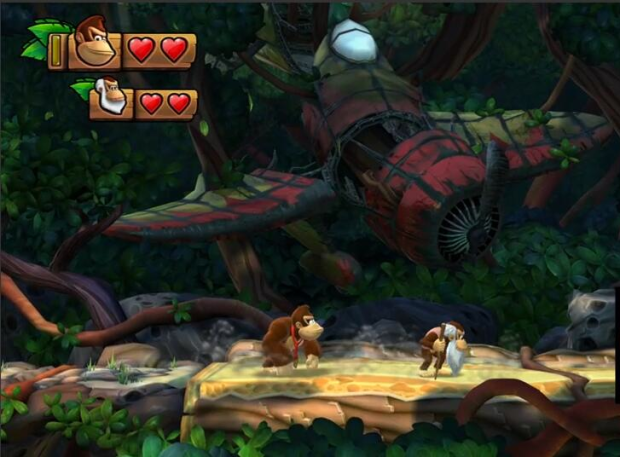 Donkey Kong’s father Cranky Kong will be playable in this newest iteration. He’s got a pogo jump similar to Scrooge McDuck in DuckTales, he has a cane attack and he’ll help out Donkey by giving him extra jumping power. He comes alongside Dixie and Diddy. They also took the chance to announce a release date of February 21. Look in early 2014 for another high profile Wii U title.